I believe that we should see workers’ representation on boards. I make no apology for the fact that this Government are going to deliver on that. These are not good headlines for a prime Minister who wants to be seen as serving the interests of working people, tackling business greed and delivering an economy that works for everyone. She sounded too close for comfort to someone who has been successfully lobbied to tinker with the status quo, rather than facing down vested interests and introducing fundamental reform in the interests of the country as a whole. I’ve blogged before about the need for workers on company board in the UK to tackle endemic short-termism and challenge boardroom groupthink, as well as the benefits in terms of R&D and employment that it can bring. Despite Monday’s blip, the Prime Minister’s statements today, during her short election campaign for party leader and to the Conservative Party Conference, would suggest that she agrees with the thrust of this argument. What the government needs to understand is that workers being represented on company boards means – like Brexit – what it says; there is not a way of doing it by proxy. Appointing a non-executive director to speak on behalf of the workforce, which appears to be businesses’ preferred means of tinkering with the status quo, is not worker board representation, nor an effective substitute for it. 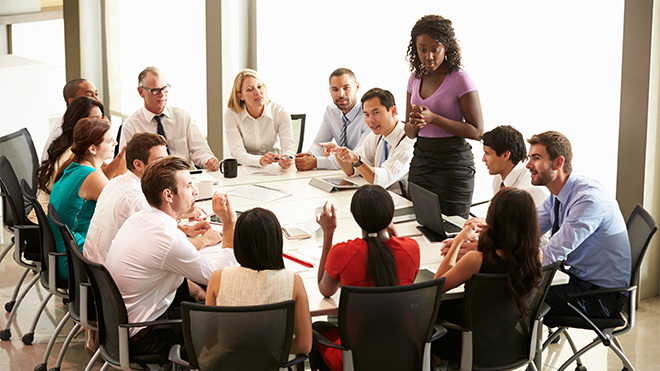 The point of worker board representation is to bring the perspective and experience of workers and their long-term commitment to their company into the boardroom, offering something that non-executive directors are by definition unable to offer. All directors, including but not limited to worker directors, should give proper consideration to employee interests, along with other stakeholder interests, in company decision-making, and it is surprising that those who misuse the arguments about the UK’s unitary board structure to argue against worker board representation fail to see the irony in then going on to suggest a differentiation of responsibility among board members in this way. I blogged on Monday about the tests the TUC will apply to whatever proposals for worker board representation eventually come forward from government. In short, they must involve workers themselves sitting on company boards, having been elected by their fellow workers to do so. The proposals must be mandatory, or nothing will change. There are still many issues to discuss, including to which companies the requirements should apply; training and equipping worker directors for their role; and the number or proportion of worker representatives per board (the TUC’s proposals on implementing workers on boards are set out here). In its forthcoming Green Paper on corporate governance, the government should consult on how worker board representation should be implemented, including these and other issues. However, the Green Paper must be clear that appointing a non-executive director to speak on behalf of the workforce or setting up a stakeholder advisory body are not the same as putting workers on company boards. Don’t think that working people won’t notice the difference.